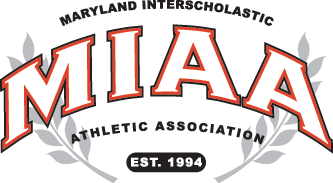 Annapolis Area Christian, the defending MIAA C Conference football champion, opened its 2018 season on Friday afternoon against the B Conference’s 2017 runner-up, Severn School, and the visiting Eagles scored a pair of second half touchdowns to pull out a 21-9 come from behind victory. The win snapped a five game losing streak suffered by AACS to the Admirals. AACS quarterback Ryan Idleman passed for three scores, including a pair to Andrew Jacobs in third quarter, that vaulted the Eagles in front. Idleman also completed a 65-yard TD pass to Thaddeus Standfield, in the first quarter, as the later turned a short reception into a long catch and run. The other big story was the AACS defense, which collected eight turnovers, including five straight in the second half. The turnovers thwarted any momentum the Admirals tried to muster on offense. Severn’s lone touchdown came in the first quarter on a 40-yard touchdown toss from Craig Stevens to Jaden Queen. A second quarter safety, allowed the Admirals take the halftime lead.